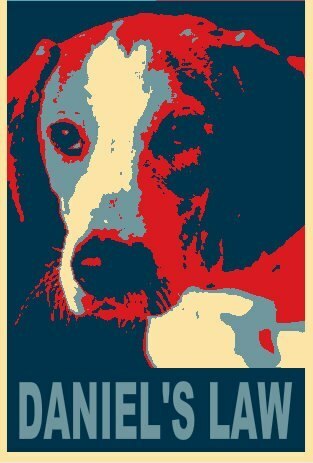 The Pennsylvania Senate Voted & Passed Daniel's law To Ban Carbon Monoxide Gassing of Animals. 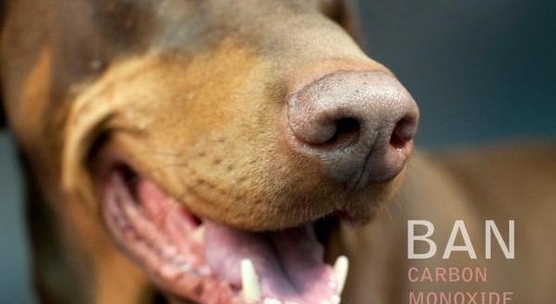 HARRISBURG — Senators agreed Wednesday to ban the carbon monoxide gassing of animals and to decommission the gas chambers still used to euthanize pets in parts of Pennsylvania. The General Assembly’s passage of House Bill 2630 successfully concludes state Sen. Andy Dinniman’s 18-month effort to rid Pennsylvania of the euthanasia gas chambers and represents “a historic milestone in Pennsylvania for the humane treatment of dogs, cats and other pets,” said Dinniman, D-19, of West Whiteland, Chester County. “When faced with the unfortunate task of putting down a dog, cat or other pet animal, it’s incumbent on us as compassionate people to use the method that is the most humane, painless and anxiety-free for the animal,” said Dinniman. Upon the governor’s signing of House Bill 2630, Pennsylvania will join the list of 20 states that ban carbon monoxide gassing. Dinniman introduced his first bill banning dog-gassing in March 2011 and his second such bill in October 2011. House Bill 2630 is a compilation of Dinniman’s second bill and provisions added by House members. It both bans gas chambers and also comprehensively updates Pennsylvania’s current 25-year-old Animal Destruction Method Authorization Law, which currently not only allows carbon monoxide gassing, but goes on to explain how to do it when connecting a hose to an automobile exhaust. 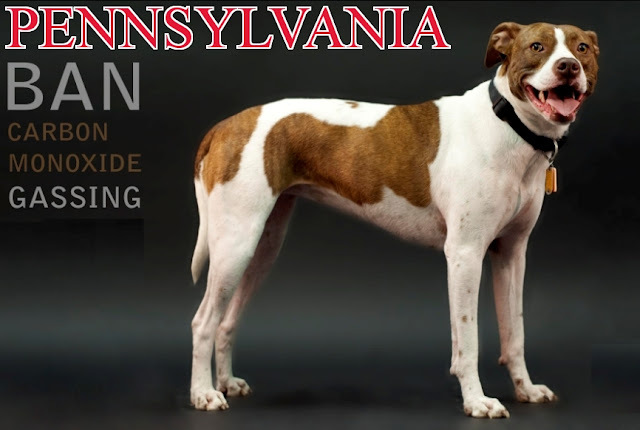 In addition to the ban on gassing, Pennsylvania’s new animal euthanasia law will require that animals be euthanized by injection of an FDA-approved euthanasia solution, such as the commonly used sodium pentobarbital, and that such injection be given by a euthanasia technician licensed by the state Board of Veterinary Medicine. In addition, the new euthanasia law will require veterinarians and animal protection organizations to disclose the specific euthanasia method they use. Responses to "Senate passes Daniel’s Law to ban carbon monoxide gassing of animals"
I saw them do this at a PA animal pound when I was getting a kitten. They forgot to shut the door. I'll never forget them putting that dog in the chamber. I wanted to scream STOP! and one man slammed the door right then. Thank God this is over!